The training will explore topic areas of bias, conflict resolution, compassion and assuming positive intent in our interactions with participants. Facilitated by The Ohio State University College of Social Work. Define the kind of experience we want to create for the people we serve. Become aware of how identity and culture influence our perceptions. Identify tools for navigating difficult situations we encounter in service. Learn how bias influences our interactions. Role play to develop our skills. Lisa Durham,LISW-S, Assistant Dean of Strategic Initiatives and Community Engagement for The Ohio State University College of Social Work and has been with the college for 10 years. She has both her Bachelor’s and Master’s degrees from OSU in Social Work, and is an independently licensed social worker. Prior to coming to OSU, Lisa worked for 16 years at the Central Ohio Area on Aging, where she worked in case management, program development and administration. She began her social work career by working in community mental health with persons with severe mental illness. Lisa also teaches for the College of Social Work in social work ethics, social work interviewing skills and leadership. She sits on the boards of several local non-profits, and teaches in the Leadership Certificate Program. Steve David, LSW, Community Engagement Manager- Steve Davis is a social worker specializing in advocacy, education and community partnership. He previously worked as the Communications Manager for the ACLU of Ohio, and currently serves as the Community Engagement Manager in the Ohio State University College of Social Work. 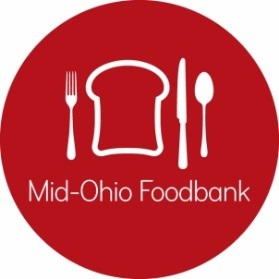 Attendees must be a partnering agency with Mid-Ohio Foodbank. Click here to register Customer Service Training on Monday, February 18, 2019 from 9:00 a.m. – Noon.